A new adventure for NJAC- The journey to our new office & HQ! 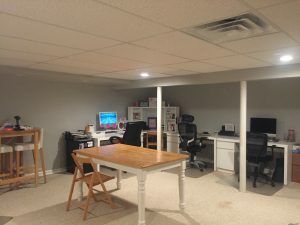 Our first basement home office! This week is a huge week in NJAC world… For those that have followed our progress, you knew that we had a small workspace in my basement up until April 2018. At that point, we took a giant leap and moved out and in to a tiny office space in Long Valley. It was quaint and close to home and just plain perfect. Well, all was cruising along until August when I had the scary realization that we were exploding. We had grown SO much in 5 months that we had no space. I’d joke with friends that if I wasn’t one of the first three office team members to arrive to work in the morning, that I’d have no place to sit at our common work spaces! I could often be seen sitting at the high top in our sun porch running NJAC off my phone and chromebook. So… we started looking… and looking… and looking… and we looked some more. In the mean time, I went on a family trip to Germany and got to tour the offices and warehouses of two of my distant relatives’ giant companies. The experience of seeing what they provided their employees changed me, and I knew from that moment what I needed to do back home. Returning home, we just couldn’t find the “right fit.” We couldn’t find a place that had all the feels for the dream environment I envisioned for the magic to continue. I got to the point one night of this whole process almost driving me crazy, and impulsively I got on Facebook and pleaded to anyone still awake to let me know if they knew of any places in LV that would fit my criteria. Unexpectedly, I got a lot of replies including one local mom who commented that her place of work had an office available, and sent me a link. It was gorgeous and perfect oh so seemingly unattainable. Our new, beautiful office in Chester! I set out the next morning, refreshed and optimistic. 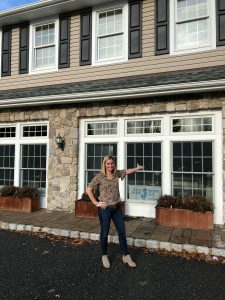 When I walked in the door of this place, I knew immediately I was “home.” It was what made sense, what we needed to bring NJAC to our community, to raise brand awareness, and therefore continue our quest to bring safety and independent swimming to every local child. I rushed back to our tiny office to tell everyone I had found the perfect place, but that we couldn’t afford it! They all helped with ideas on how we could save and repurpose! In the next 24 hours, I crunched numbers, set up a new business plan, and found a way. I called and committed that we were ready to move in. After a few weeks of barely being able to sleep, we began our move in yesterday. I was giddy with excitement of what was to come, and I knew by the mood of all of our office team that we had made the absolute best decision possible. As we move in and set up in the next few weeks, we will continue to share our journey. 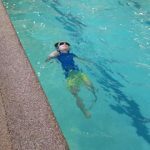 We are so lucky to have the absolute best NJAC families on our support team and that you all trust us to make your children safe and happy in the water. We love what we do every single day, and we cannot wait for this new chapter to bring even more to our business and to contribute more to our community! We plan on using our new space for educational (dry:) classes, trainings, VIP Member events, networking with other local businesses, and so much more. We are thrilled to be in the business hub of Chester where there are so many other businesses like us that we can meet and network with! We can’t wait to have you stop by and visit us soon! Stay tuned for big things to come.